We’re hosting Arigato Market on Saturdays and Sundays. Enjoy tacos like Spicy Poke Tuna, Hot Chicken and California Kani Salad along with sides and apps of Crunchy Wasabi Peas and Japanese Premium Rice. Arigato tacos have big flavor profiles that pair nicely with our craft beers. Follow us on Facebook and Instagram for updates on taco specials. 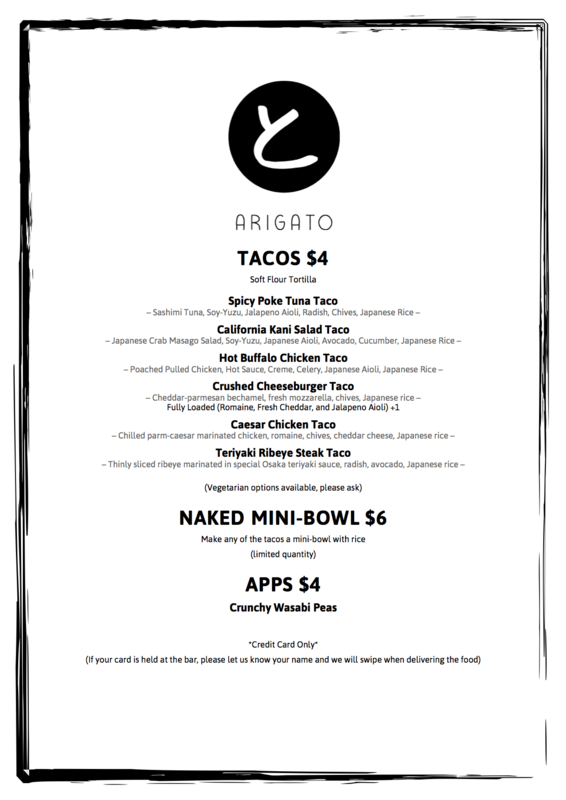 *Arigato will serve tacos until they run out for the day. Come early, come often! Stay On Tour with us! Be the first to know about new beer releases, special events, and more!